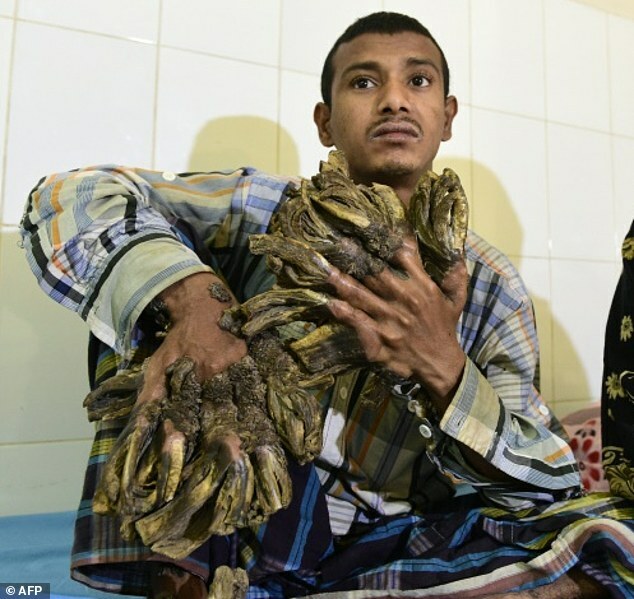 A 26-year-old Bangladeshi man with massive bark-like warts on his hands and feet may need to undergo a dozen more operations. Abul Bajandar has become a celebrity over the years because of his odd condition. Abul Bajandar, also known as the “tree man” from the southern district of Khulna, suffers from a rare condition called epidermodysplasia verruciformis or tree man disease. Individuals with this rare genetic condition develop massive bark-like wart growths on their hands and feet. To date, there are only three known cases of this condition in the world. Bajandar, a former bicycle rickshaw puller, started noticing the symptoms 10 years. Initially, he ignored the warts thinking they were harmless. But as the abnormal growth started covering his hands and feet, Bajandar had no choice but to give up his job. 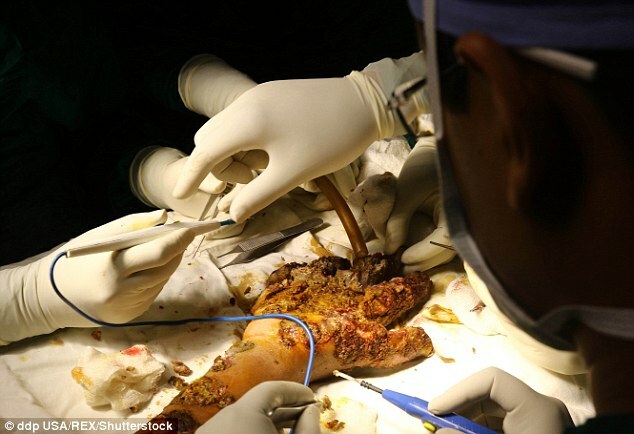 In February 2016, a team of doctors from Dhaka Medical College Hospital successfully removed some of the growth weighing at least 11 pounds from five fingers on his left hand. Despite the success of his surgery, Bajandar needs to undergo up to 15 operations to totally get rid of the wart growths. Determined to live a normal life again, Bajandar said he will continue the treatment no matter how long it takes. The “tree man” is willing to undergo more operations so he could live a normal life again. Bajandar told CNN: “I have fought for 10 years and endured the pain. I want to live like a normal person. I just want to be able to hold my daughter properly and hug her." The Bangladesh government took care of the expenses for Bajander’s medical treatment.